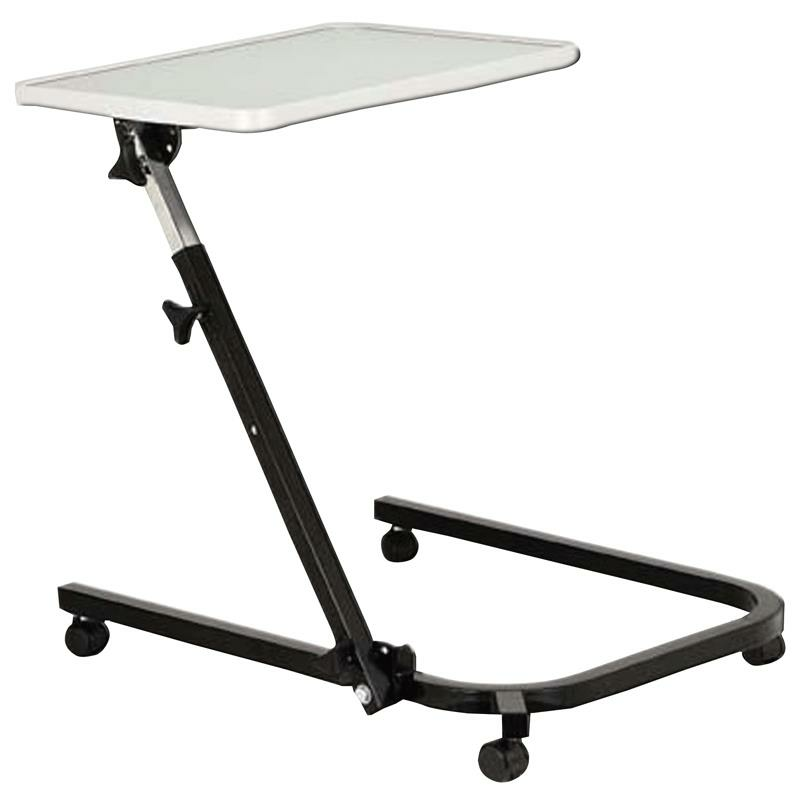 Drive Pivot and Tilt Overbed Table tilts with the angle of the mast to provide a flat surface regardless of the angle of the mast. The mast of the table pivots and can be locked in one of the three positions from flat on the floor to 90 degrees. 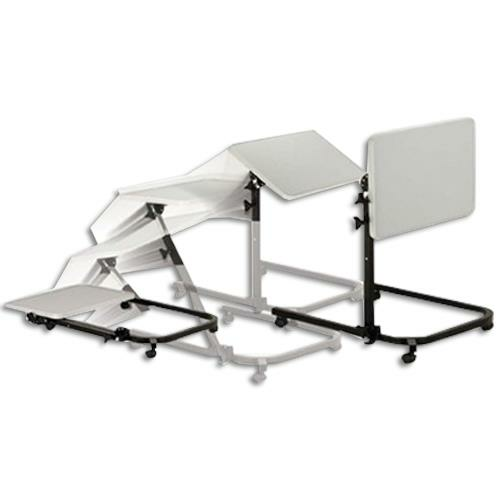 The unique design with multiple height and tilt positions allows it to be used for everything from a low bed to a wheelchair or regular beds.